Love the creativity of the peacock feather motif. It's in the eye pattern inscribed in the crescent design above her head - the same pattern in a peacock feather. Mucha must have loved peacocks! Or he lived nearby a peacock farm. Or it's an art-nouveau style thing. Or maybe it's a secret code (like the freemasons). 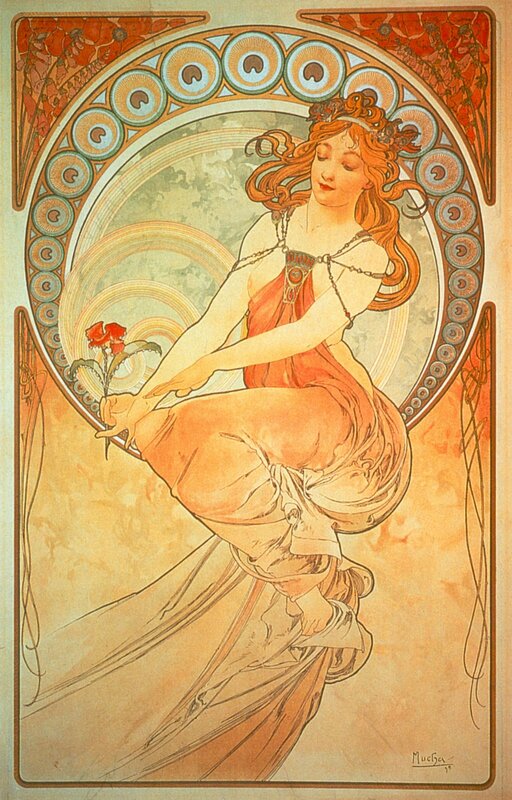 Rob, just out of curiosity, I checked to see if Mucha was a freemason. I did not know that he was the person responsible for restoring Czech Freemasonry. I think I'm going to have to start examining your Mucha postings more closely now.